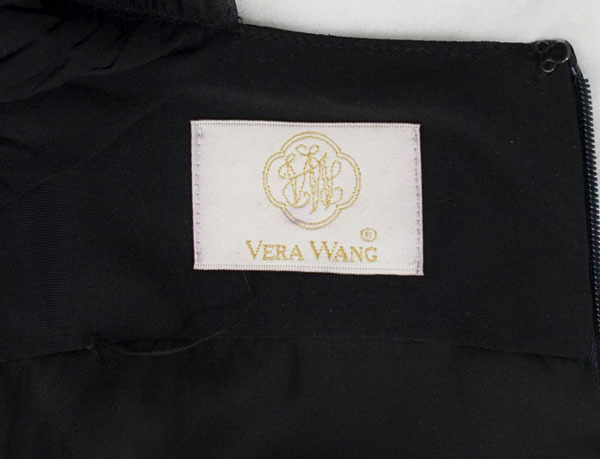 The multi-faceted talent of Vera Wang is always evolving. Best known as a designer of ultra feminine wedding gowns, Wang has shown that she can also do sophisticated, arty fashion. Changeableness and contradiction are what make a designer interesting; consistency is for cooking. The little black cocktail dress has it all. 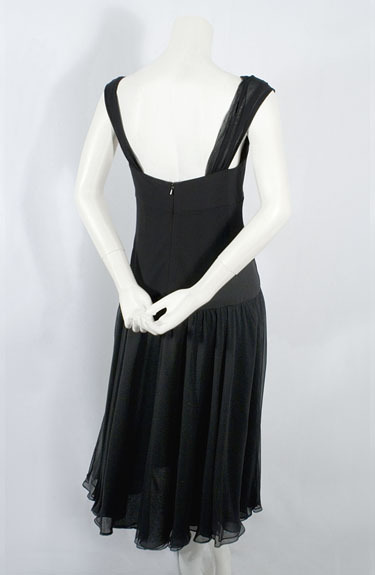 The torso, made from silk/spandex jersey, will mold to your figure like a Ceil Chapman dress. 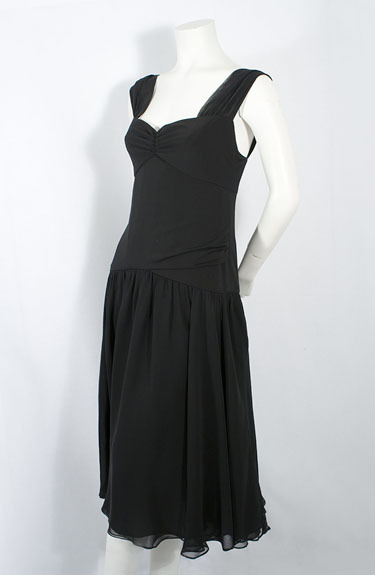 The shoulder straps and gracefully draped, double-layer skirt are of bias-cut silk chiffon. The high-end dress is beautifully constructed and finished inside. The torso is lined with black crepe. 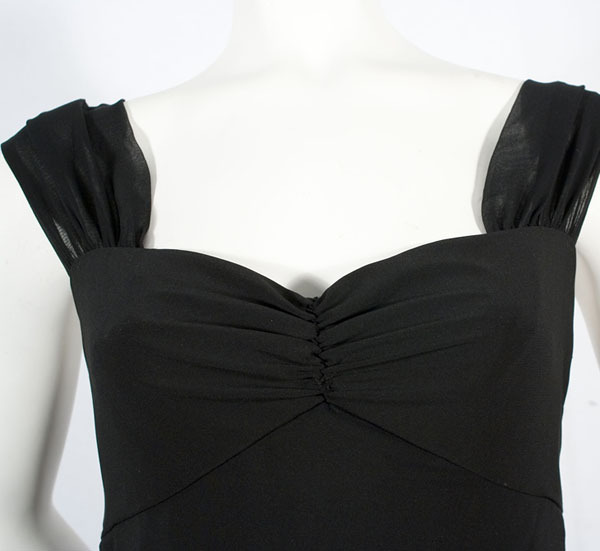 The dress closes in back with an invisible zipper. The unadorned black design, relying solely on cut, conveys a timeless sophistication, epitomizing Baudelaire's dictum that every dress style is beautiful in its own time. This theme was taken up by the Impressionist painters, influenced by Baudelaire's maxim about the Parisienne whose "beautifully composed attire is inseparable from her beauty, making the woman and her dress an indivisible whole." It measures: 36" bust, 32" waist, 38" hip, and 46" from shoulder to hem.